I’m awash in samples from Tea Runners! This week I brought Water Sprite Oolong to work to try. 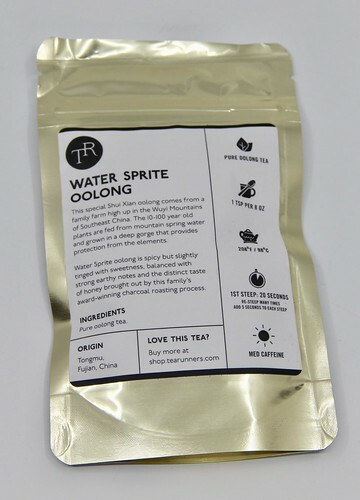 Water Sprite Oolong is pure oolong tea from a family farm high up in the mountains of Southeast China. The first thing I noticed when I opened the bag is how smoky this tea is. The packaging suggests there is some honey sweetness “balanced with strong earthy tones,” but all I got from this one was a smoky smell and taste. 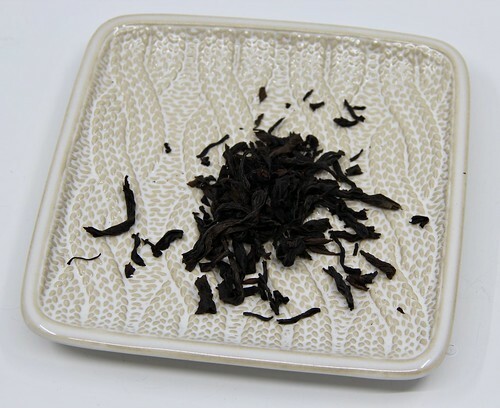 In general, I find oolongs very mellow and I enjoy them, but I think this one was too smoky for me. I enjoyed trying it, but I wouldn’t add it to my permanent collection. Previous Episode 169: It’s been a week!